Call us crazy but we love what we do, we meet some awesome people here in middle Tennessee and take pride in offering professional service. We have great customers and do our best to stay on schedule and take our time to answer your questions and explain how your septic system is working, or how it’s supposed to be working. Septic systems do need regular maintenance and pumping. Whether you need your line unstopped, a repair, a home inspection or your septic tank pumped, give us a call and we’l be glad to help you out. 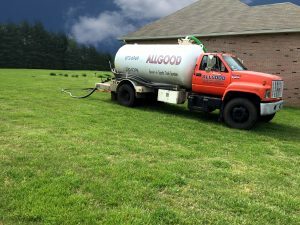 We were happy to help Ms Maxine by unstopping her main line and pumping her septic tank in the Coopertown, TN area earlier this week. 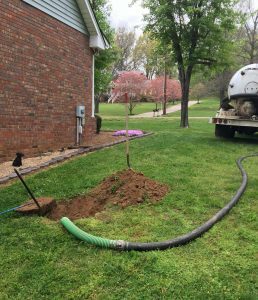 The Lalones in Cottontown, TN area understand regular septic tank maintenance and pumping is important to ensure the system works properly. We’re happy to have helped with them for years and recently pumped their tank. We appreciate our customers and thank you for your continued business! Call us for your septic system maintenance & repair.